Movies on this page were captured during my practice sessions with a second system on my LAN, and "boss" on autopilot, or during sorties with other Virtual Thunderbird candidates. My 1st tryout was with Burner(#2) and Lawndart(#6). 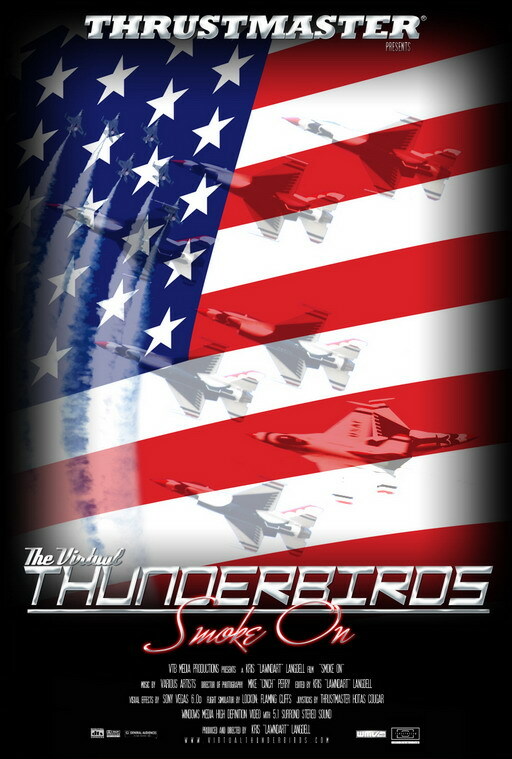 These are only practices and in no way represent the professionalism and flying skills of the Virtual Thunderbird Team, or the USAF Thunderbirds. Update August 3, 2006 - These two videos also include clips from training flights with active Virtual Thunderbird pilots - Thanks guys, for letting a newbie tag along!